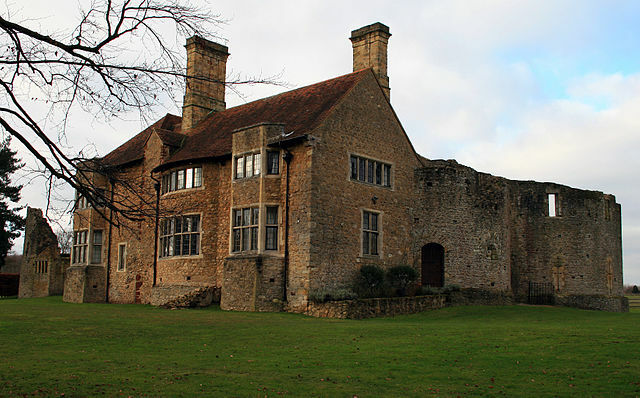 Notes: Leybourne Castle is a 13th century castle in the parish of Leybourne, Kent. It is situated between West Malling and Larkfield. The two semi circular bastions of the twin towered gatehouse built in 1275 remain and are incorporated into a Tudor farmhouse that was extensively rebuilt around 1930. Some evidence of circular earthworks also remains. The curtain wall was extant until the 18th century but now none of it remains. It is a Grade II* listed building.